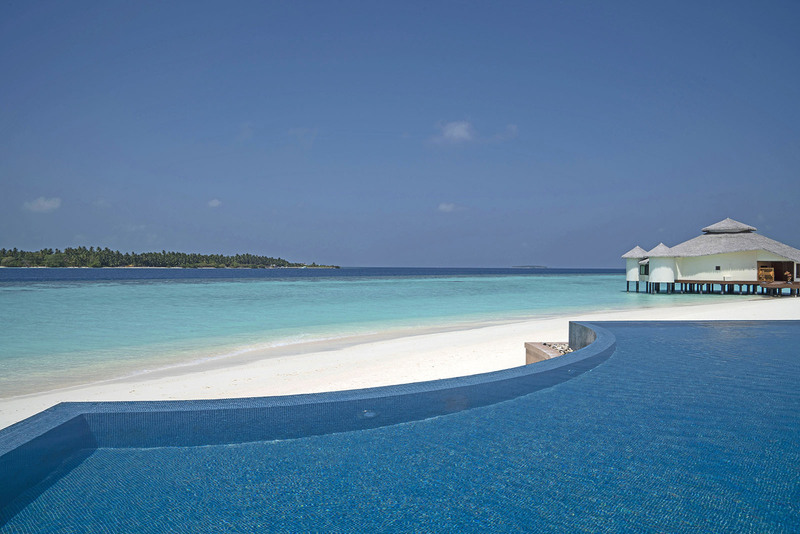 Nestled in its own 600 meter long island, Kihaa Maldives offers 124 villas in 10 different room categories. 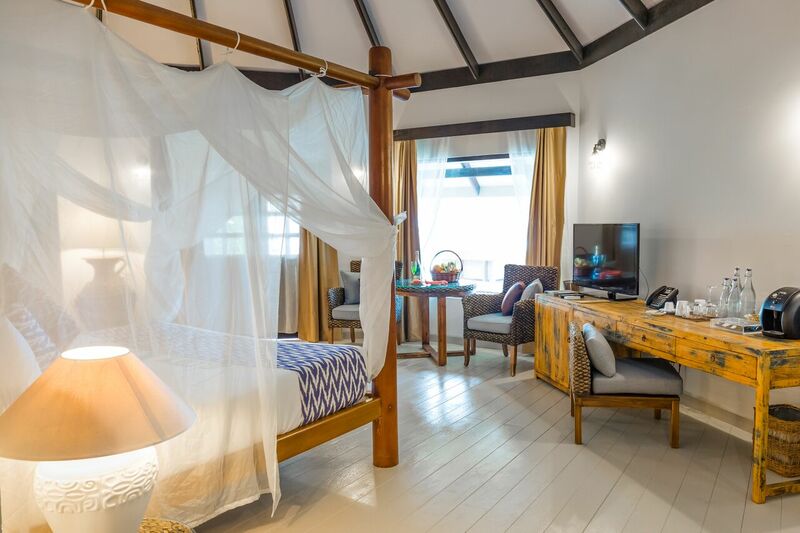 Kihaa Maldives is conveniently located in Baa Atoll. Transfer by domestic flight to Dharavandhoo takes just 20 minutes and from there it is only 5 minutes by speedboat. Airport transfer is available day and night. 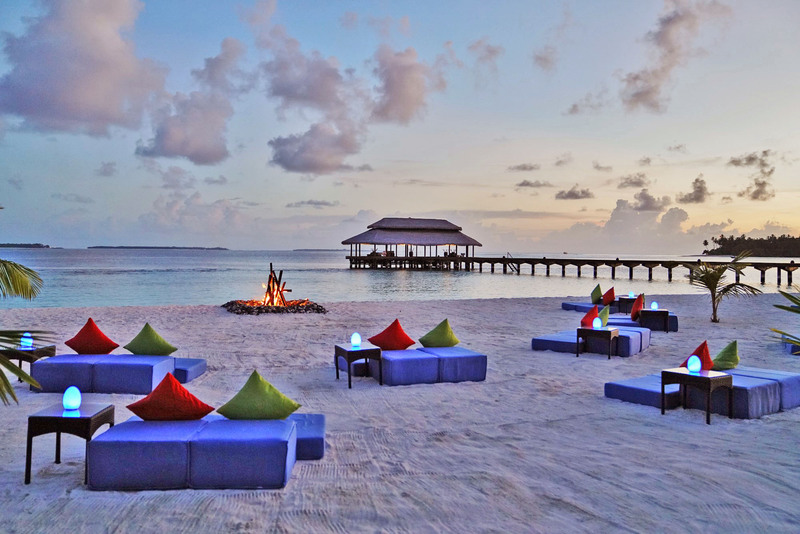 Formerly called Kihaad Maldives, the resort has now been rebranded to Kihaa Maldives. The management has been taken over by Coral Island Resorts. 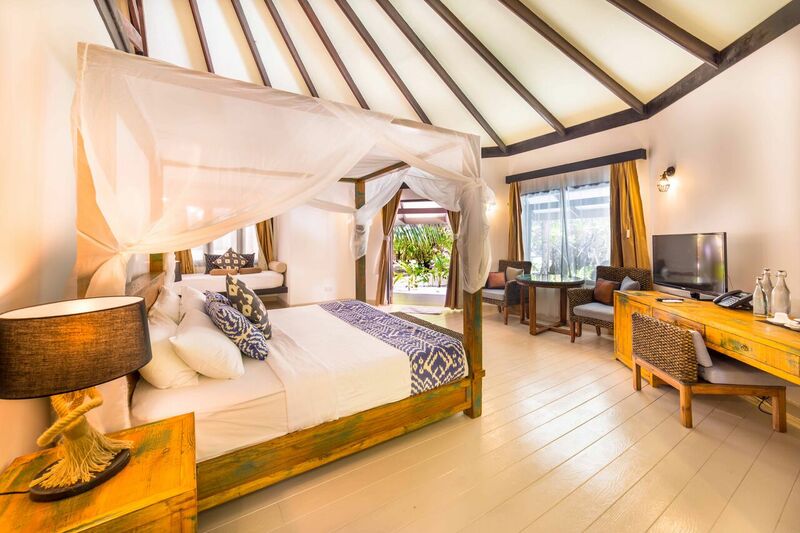 Kihaa is the closest resort to Hanifaru Bay, the internationally recognised whale shark and manta point. Hanifaru Bay is a marine protected area that allows snorkeling with manta rays, lucky guests come across massive whale sharks too. 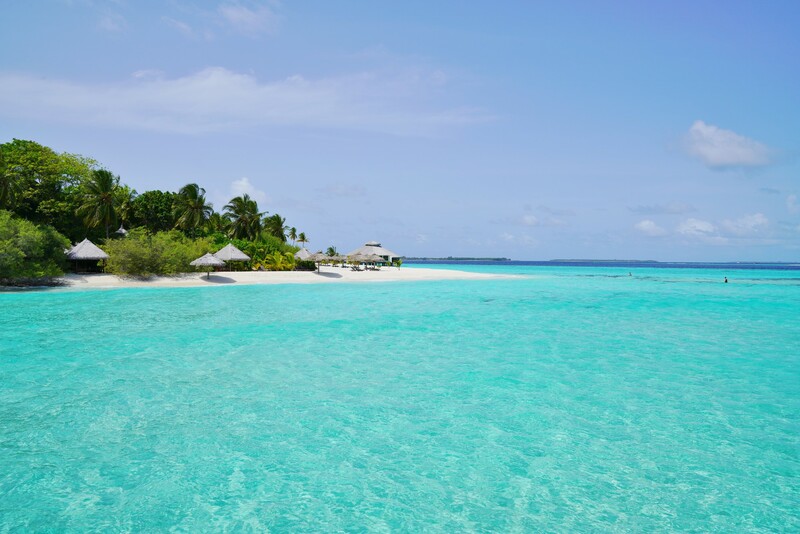 Being a marine protected area there are strict rules for resorts to follow and there are rangers employed by the administrative office in Dharavandhoo that takes care of the Hanifaru Bay. 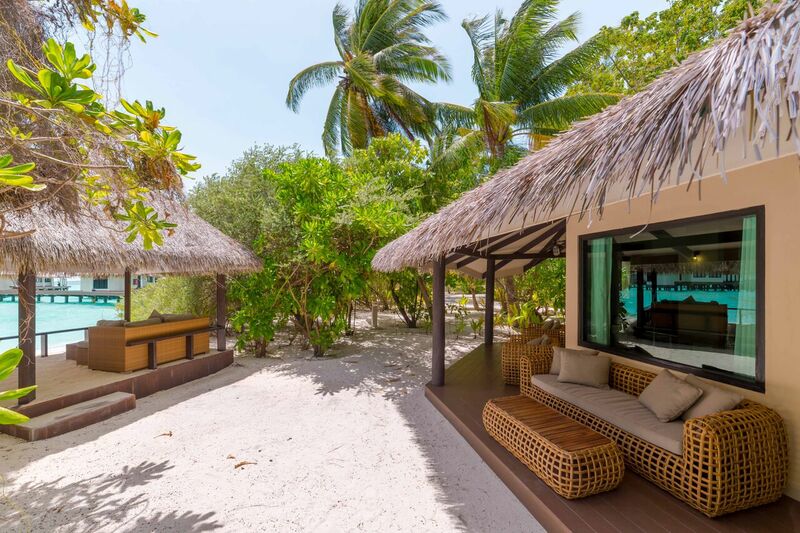 Luxury resorts in Baa Atoll include Four Seasons Landaa Giraavaru, Amilla Fushi, Finolhu, Soneva Fushi. These are the biggest villas at Kihaa, there are 2 villas in this category and each measures a staggering 310 sqm. 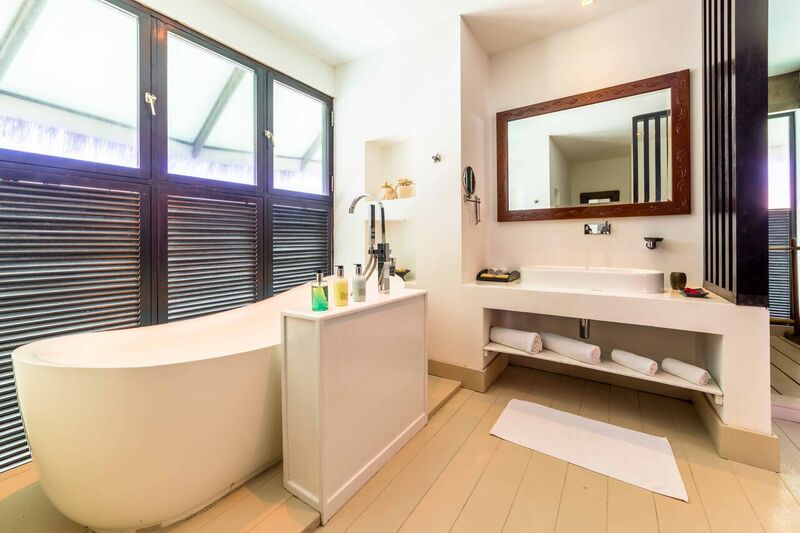 There are 2 Water Suites and each measures 270 sqm. Measuring 250 sqm in size these villas are perfect for small families who wish to stay together in one villa. There are 4 units in this category. These are one of the most popular villas in Kihaa. Measuring 150 sqm it is perfect for couples, especially honeymooners. 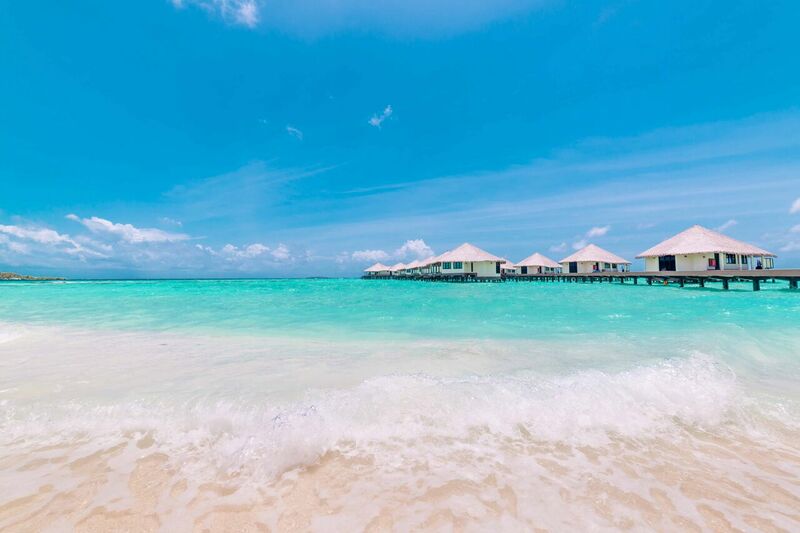 There are 10 water villas in the resort. A romantic setting on the sunset side of the island measures 110 sqm in each villa and there a total 18 villas of this category. 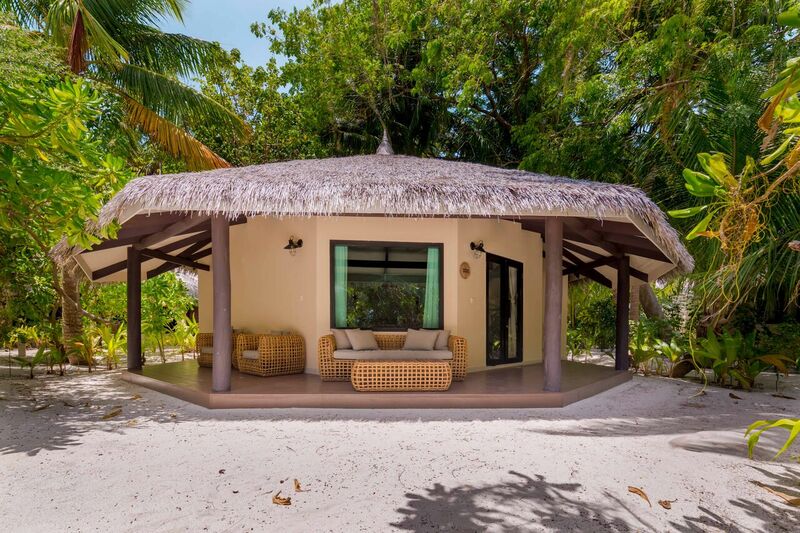 34 Beach villas facing beautiful lagoon of Kihaa Maldives comes at size of 89 sqm each. 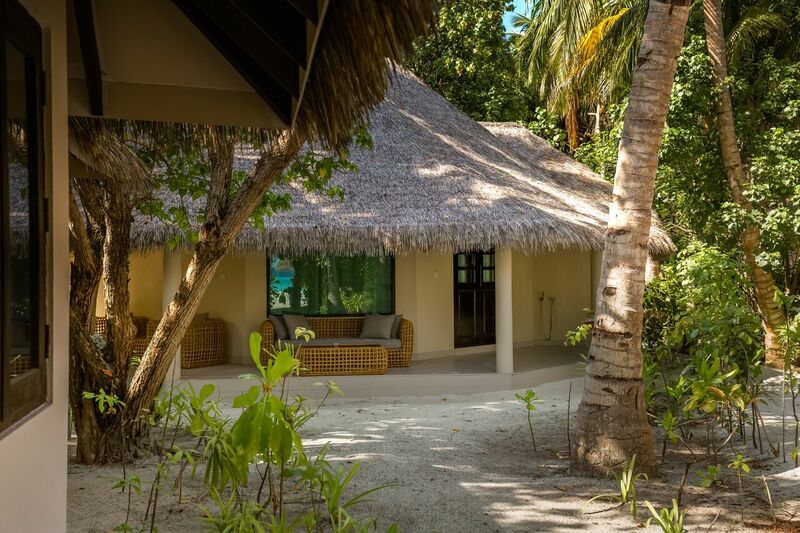 There are 48 Reserve Beach Villas and each measures 77 sqm. 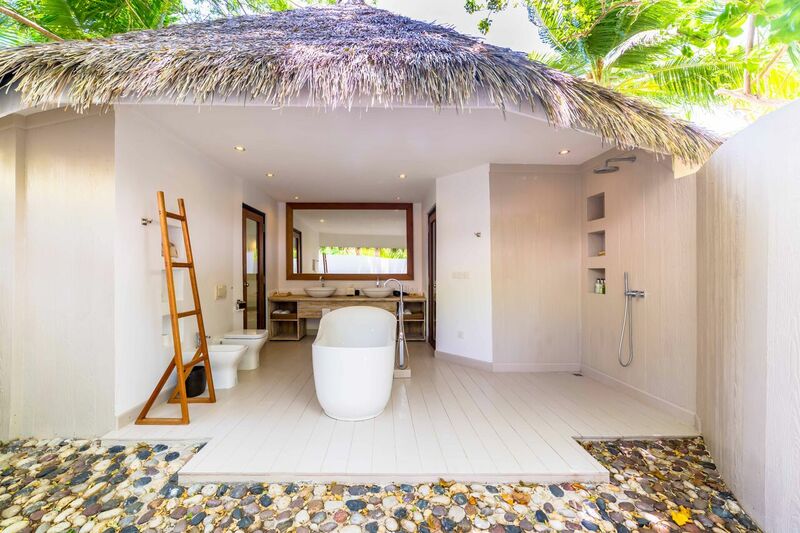 These villas are ideal for couples who want to save on accommodation perhaps to spend more on activities such as dining, watersports, excursions and spa. 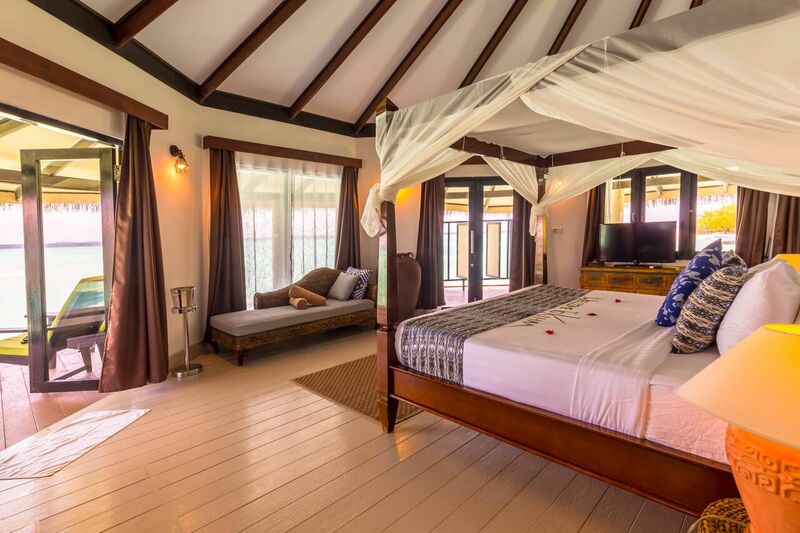 Some of the guests do not want to spend too much on accommodation as they prefer to relax under a palm tree rather than the comfort of the villa. 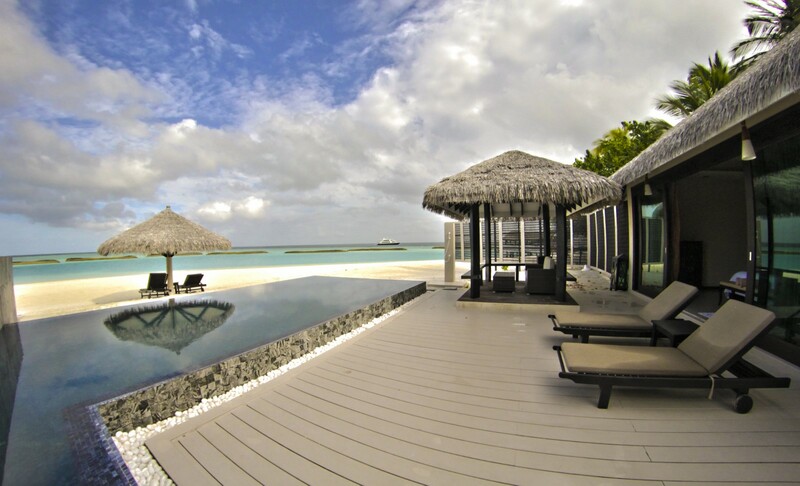 The main restaurant is named as Hanifaru Bay and serves breakfast, lunch and dinner. 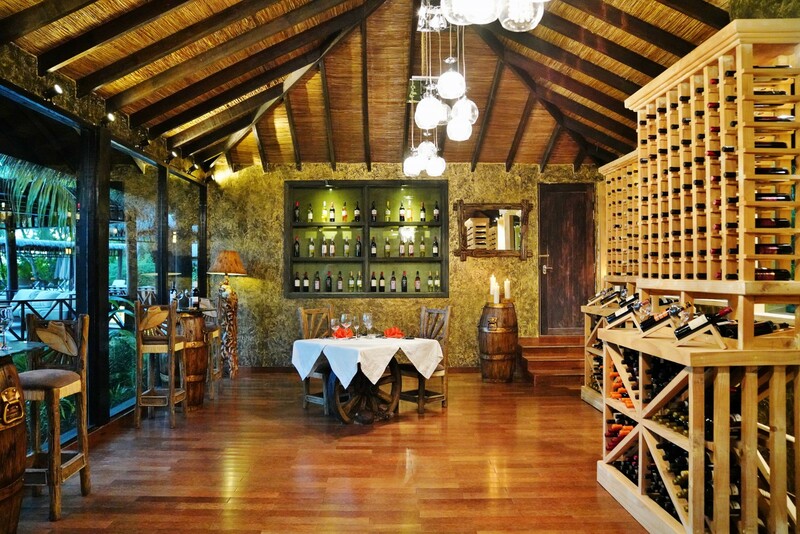 Spices is the specialty gourmet restaurant that serves only lunch and dinner. Sarong is located near the pool and serves lunch and dinner. There are two bars pouring drinks for you, one near the main restaurant and another on opposite side beach. The resort offers different meal plans including All Inclusive. If you are on All Inclusive it includes one meal in Sarong and Spices. Both the bars serves All Inclusive plan while there are some none-entitled items such as expensive wines, a la carte meals etc. 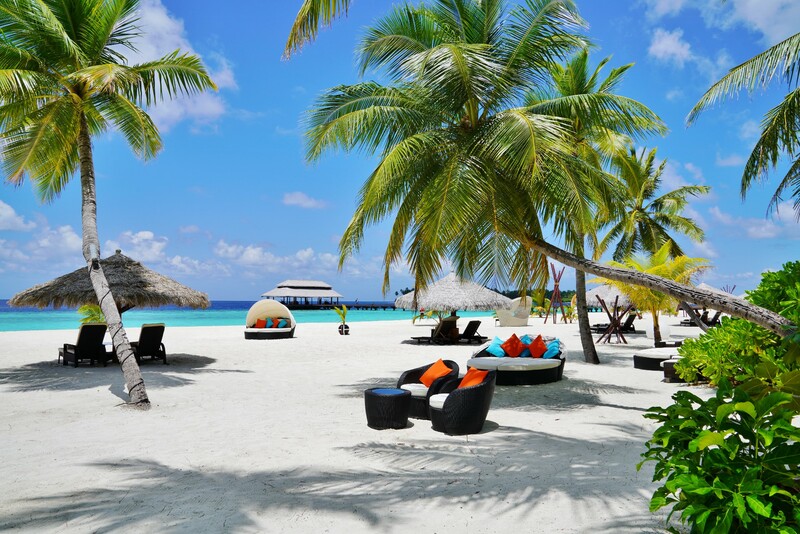 There is a dive centre and watersports centre offering the usually Maldivian experiences. In-land sports includes tennis, badminton, beach volley ball. Not many guests on holiday prefer to do gym but if you want there is one at Kihaa. Whatever activity you do the best to relax afterwards is to take a spa treatment in the K-Spa. Excursions offered in Kihaa includes sunset fishing, sunset cruise, visit to local island, big game fishing, snorkeling at Hanifaru Bay.